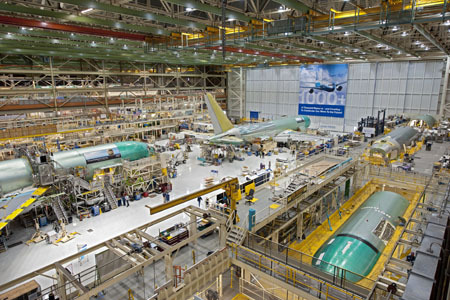 The 767 program in Everett, Wash., moved into a smaller, more efficient factory in January 2011. The new factory houses the final two steps of 767 production, which are final body join and final assembly. The same production line will be used to build both commercial and military 767s, including the platform for U.S. Air Force KC-46A Tanker.